Join us on Thursday, February 14th, 2019 for a celebration of love and friendship. 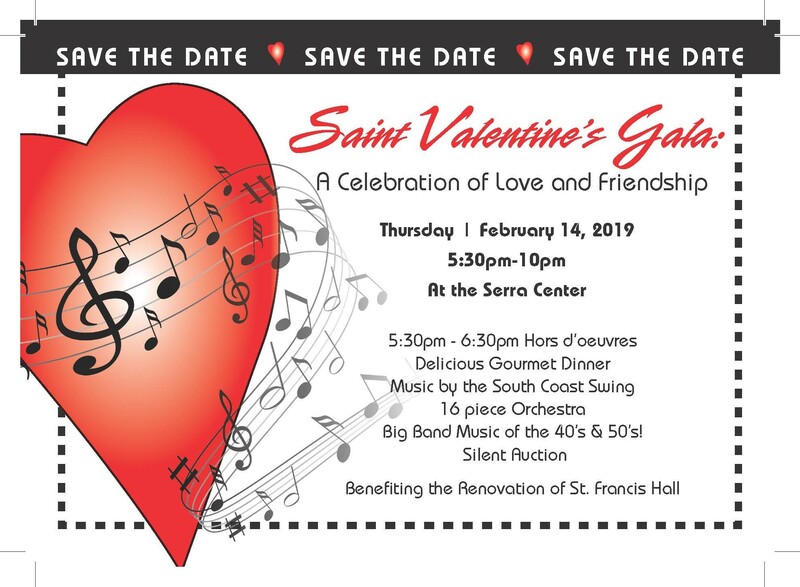 Starting at 5:30 p.m. in Serra Center, you will enjoy delicious Hors d’oeuvres, a Gourmet Dinner, Live Music by the South Coast Swing Band (a 16 piece orchestra playing Big Band music from the 40’s and 50’s) and a Silent Auction. Proceeds will benefit the renovation of St. Francis Hall. Tickets are $80.00 per person and are available after Masses.